RV Technology - Supplemental Braking System Requirements for Towed Vehicles. 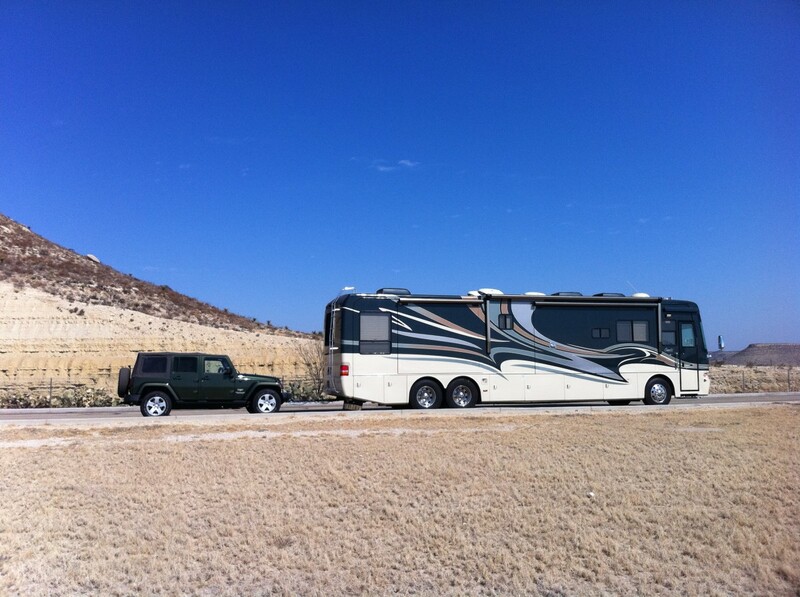 All RV owners want to travel safely in their RV's, especially those who drive Motorhomes. Most Motorhome owners will tow a small vehicle of some kind just for the extra flexibility they get exploring and sightseeing while staying at their campsite. Obviously, a Motorhome is too large for a quick trip to pick up a loaf of bread or a six-pack of beer, so you will either have already packed everything you need for your camping excursion, or, you will end up towing another vehicle. On the other hand the guy with a fifth-wheel RV can unhook and take his towing truck on these little trips a camper needs to take, while their big fifth wheel camper sits on their campsite waiting for them. The same is true for Class-C, Class-B and even pop-up campers. Everyone prefers to unhook and then use your towing/towed vehicle for that extra flexibility it gives them for enjoying the local sights and entertainment. But the Motorhome owner? Due to a motorhome's size, its just not so feasible to use it for getting out and taking advantage of the many local amenities they traveled to see and use. So, the motorhome owner goes out and purchases himself a car he can tow around behind him as he travels around the country. Well, the first thing you need to do, when you decide to purchase a Tow car is figure out how to tow it. There are really only three ways for you to tow your new vehicle. You can tow it on a trailer. Or, you can Tow it with all four wheels on the road. Some vehicles cannot be towed at all without damaging some part of the drive train or braking system. 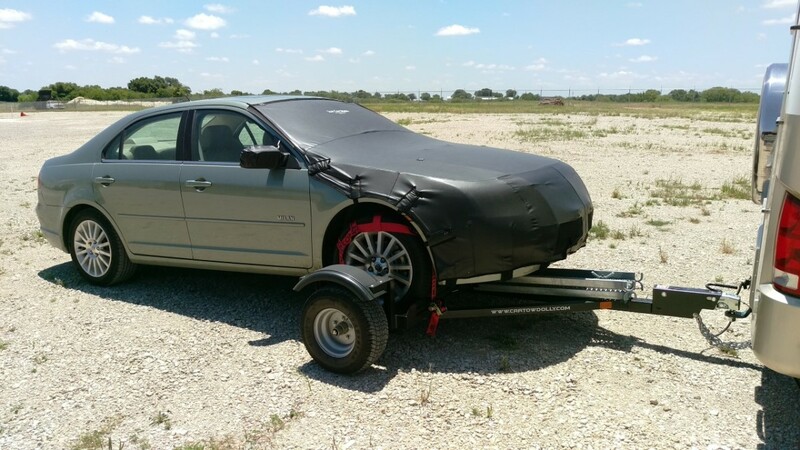 These vehicles, with all of the exotic safety systems being installed in vehicles today, are becoming the norm and if you do own one of them, you will end up towing them sitting on a trailer, either enclosed or open. 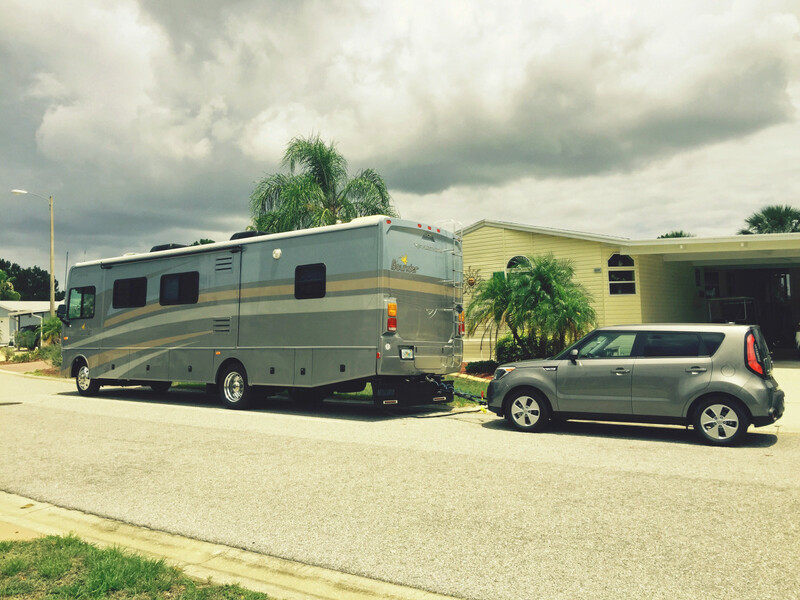 Some Motorhome owners will actually tow an enclosed trailer and use it to transport their car as well as many luxury accessories that they will use while on their camping trips. The problem with this scenerio is, this kind of towing requires a pretty powerful motorhome drive train. Some vehicles will have a "free-wheeling" pair of wheels, either the front or the rear. What I mena is that one pair of the tires can be placed on the road and will roll freely if the vehicle is towed down the road. Some vehicles do no have restricted drive trains and can be towed with all four wheels on the road. Many 4-wheel drive vehicles can have the front and rear wheels "disengaged" thus leaving the wheels free to turn without restriction. many of them and 2-wheel drive vehicles can have "slight" modifications done to them that will allow them to be towed 4-down. I used this model braking accessory in one of my cars that I towed, and it worked great for me. It was easy to set up and remove. 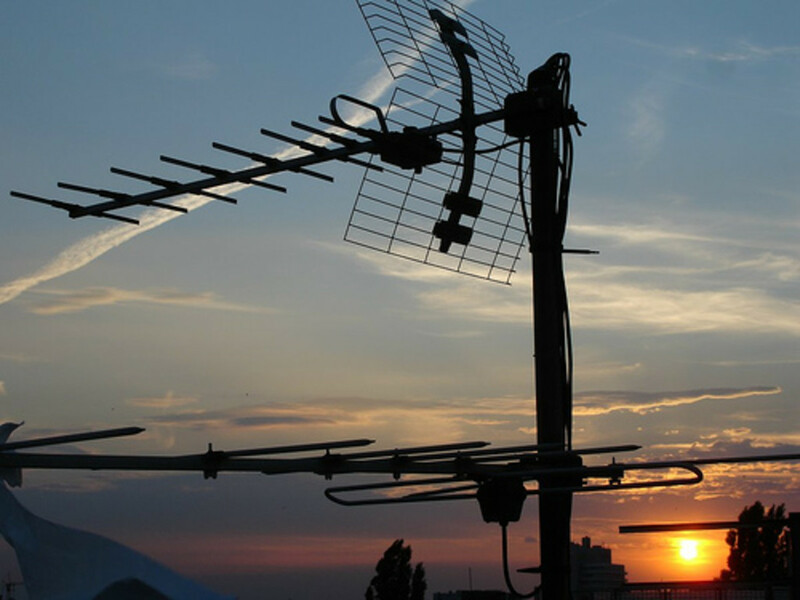 So, let's say you have gone out into the RV world and done your research on towing. You found out what you needed and ended up, a thousand of dollars, or more later, with a vehicle that you can hook to your Motorhome and tow along as you travel the country. There will be no beautiful sight unseen, nor a Tiki Bar missed for Happy Hour, now that you own a Tow Car. Right? Oh, well, there is one other thing you need to do. You need to figure out what kind of Supplemental Braking System to install in your tow vehicle. Yeah, when you stop your Motorhome, its really nice if the towed vehicle stops for you also. And the best way to do this is to have a good supplemental braking system installed. I, personally, have been a very luck camper. If you will pardon the pun. I have never been in a situation where I or my RV or my tow car were a problem while stopping. I am not so brazen as to call it a skill thing, rather I will be honest and say that I have been very, very lucky. My friend had one of those big "dualey" pickup trucks you see so often on the open roads. This friend of mine was an avid fisherman whose prized possession was his 27-foot, center-console, fishing boat with two big 250-hp engines hanging on the rear. He babied his truck and his boat, constantly cleaning them and adding options to them as soon as he had saved up enough money. Well, one day, he was towing his boat on the highway, heading to what he hoped was another, great day of fishing. About halfway there, he ran through a squall and the road went from dry to wet within a few hundred feet. He was trying to see through the thick rain ahead when suddenly he saw a couple of red lights pop on in front of him. Of course, he immediately slammed on his brakes. Then, of course, his truck started to slide down the road. He told me it actually felt like the truck was picking up speed rather than slowing down. Anyway, he was fighting the steering wheel of his truck trying to keep things straight when he saw something out of the corner of his eye. You see, he was actually sliding sideways and the boat itself had also begun to slide, it had actually jack-knifed and was traveling down the road, on his left. 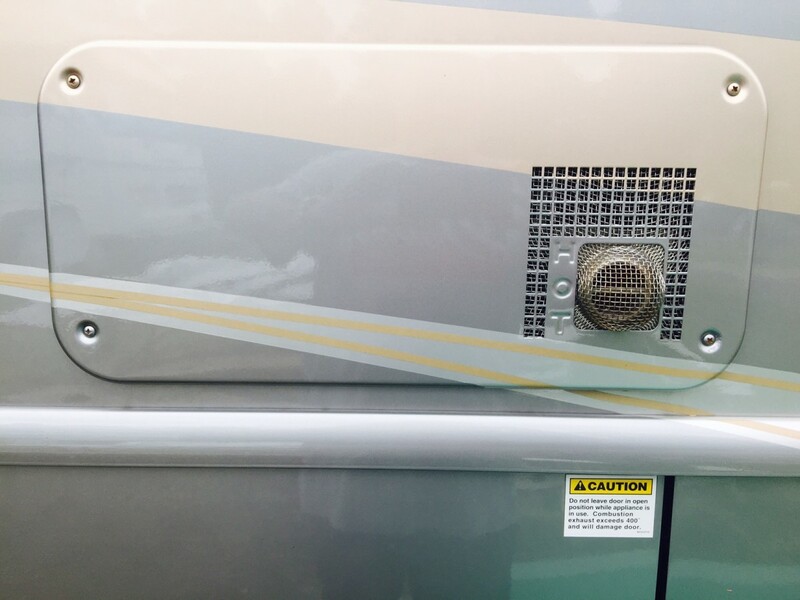 At this point in his story, my friend sheepishly confessed that he had never "gotten around to" purchasing the required braking system for his boat trailer. Continuing his story, he said that he slid for the next several hundred feet down that highway before "his miracle" happened. The miracle? Well, his boat, still on its trailer, slowly slid back from the jack-knife position as his truck straightened out on the road. And, after another few seconds he was able to regain control and miraculously everything ended up fine. He did admit that he had immediately pulled off of the road and sat there for a while, "shaking a little". Oh, and he also admitted that the next day, he did go and have that supplemental braking system installed in his truck and his boat trailer. When I purchased my old Winnebago, the owner threw in this model of brake system, and I used it, It is one of the most popular brands on the market, and mu=ine worked well for me. I tend to ramble at times, so let's get to the point; which is the fact that every state has some type of legal requirements for supplemental braking systems for towed vehicles. A supplemental braking system can use a number of different technologies from surge detection to manual braking to automatic G-force sensing and braking. 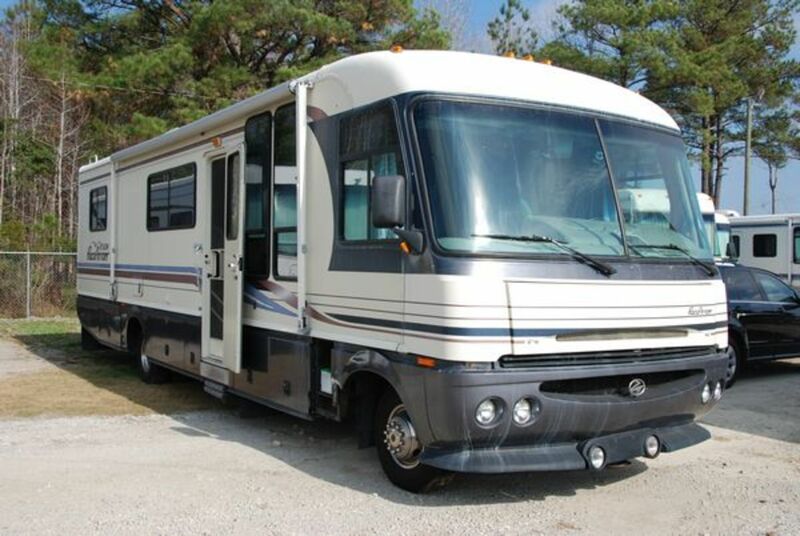 Each of these has its pros and cons for the RV owner and it will take a little self-education before you make your final decision on the system that is right for you. In almost every case the laws are based on the weight of the vehicle being towed. And in some states there are other special requirements over an above the initial weight requirement. Over the years I have used several of the different vendors products, from Brake Buddy to others made by the big name companies. Finding out the laws for each state has always been something of a chore for me until recently. I found a link to a Brake Buddy site that has a great map of the US and data that lists the towing requirements for all of the US states and in Canada. I suggest that you go to the link, read it, study it, and know the laws you need to comply with as you travel the country with your tow car following safely behind. 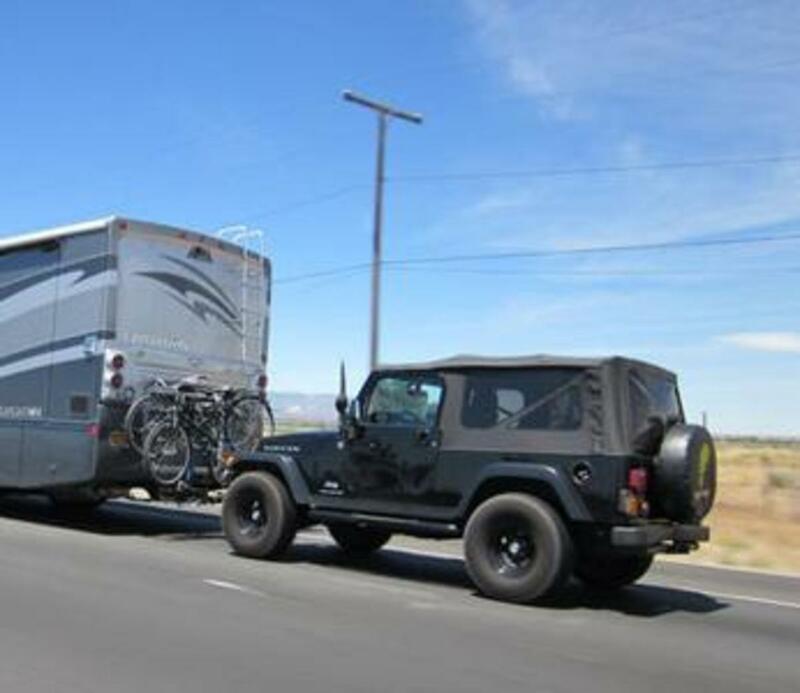 We tow our four-door Jeep Rubicon behind our thirty foot motor-home with no supplemental brakes because it's well within parameters, and have no trouble stopping. In fact, sometimes I almost forget it's even there. But since we live in mountainous country, I always gear down on any steep grade, with or without our dinghy, to save the motor-home brakes.